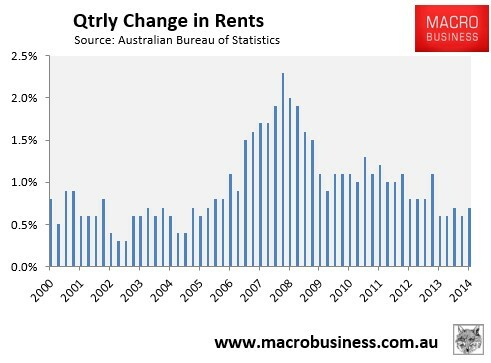 The September quarter consumer price index (CPI) data, released today by the Australian Bureau of Statistics (ABS), revealed continued moderate rental growth at the national capital city level. 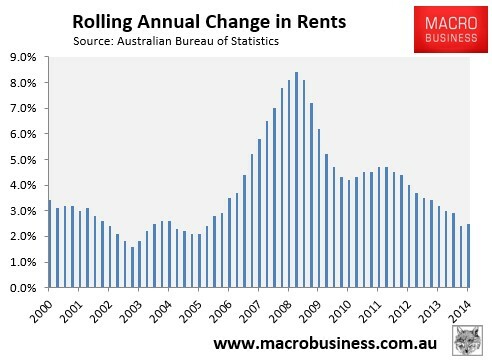 According to the ABS, rents nationally grew by 0.7% over the September quarter of 2014 – up slightly on the 0.6% growth recorded in June – but was only 2.5% in the year to September, with a clear downwards trend evident (see below charts). What’s most interesting about the current moderate rental growth is that it is at odds with other housing-related indicators, such as population growth and prices, which continue to register strong growth. 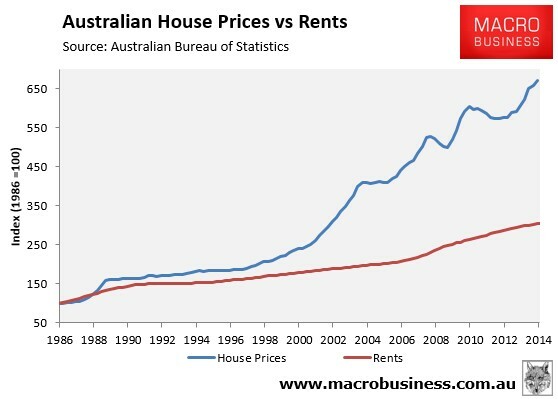 For several years, Australia’s population has grown strongly, which logically suggests that rents should rise. 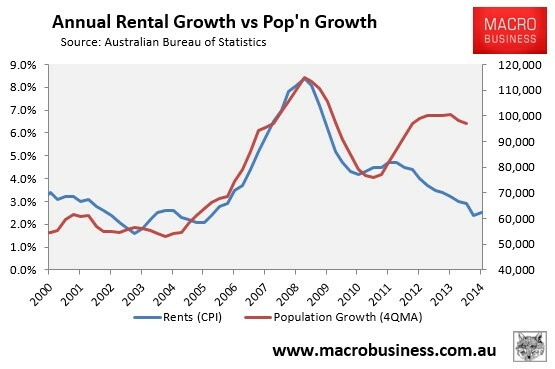 Yet rental growth has recently decoupled from population growth (see next chart). House prices, too, have been on a tear – rising by 10.4% in the year to June – more than four times as quickly as rents (see next chart). 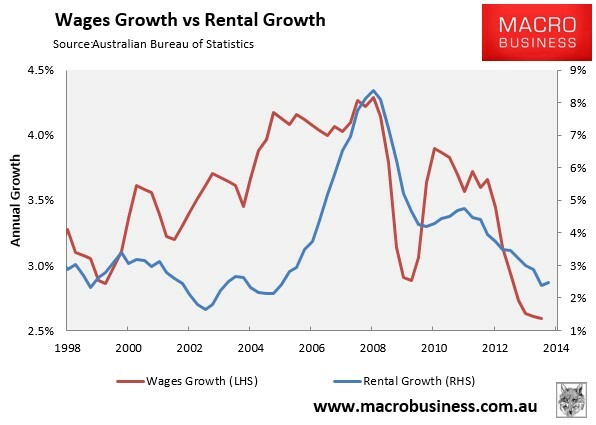 One logical explanation for the relatively weak rental growth is that wages are growing at the slowest pace on record (see next chart), and while home buyers can leverage to buy a home, they cannot leverage rents. Clearly, the economy’s weak fundamentals are weighing against the rental market, and it is only a matter of time before they weigh on house values as well.